Botswana, Namibia, and South Africa—our three top countries for honeymooners—each offer unique opportunities for romantic adventure. We’ve listed our favorite destination in each country to give you a hint of what awaits you on your dream African honeymoon. Botswana is a premier destination for newlyweds enamored by African landscapes, as well as the country’s unique cultural heritage. 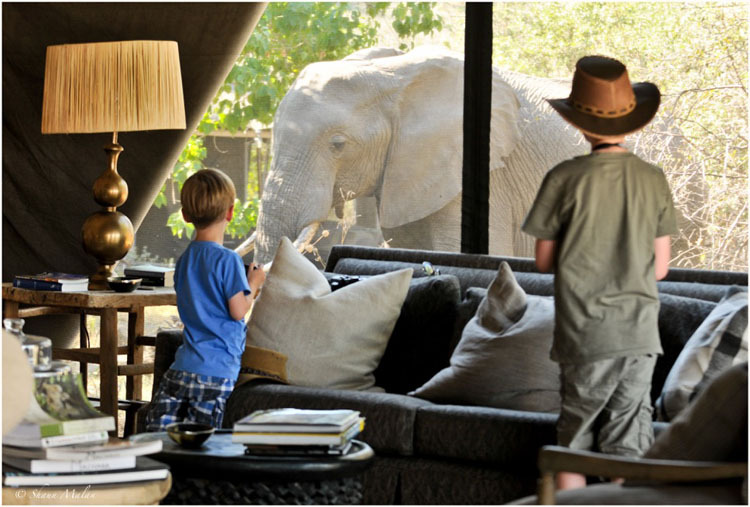 It’s terrain is filled with iconic African wildlife like giraffes, African Wild Dogs, and African Elephants. 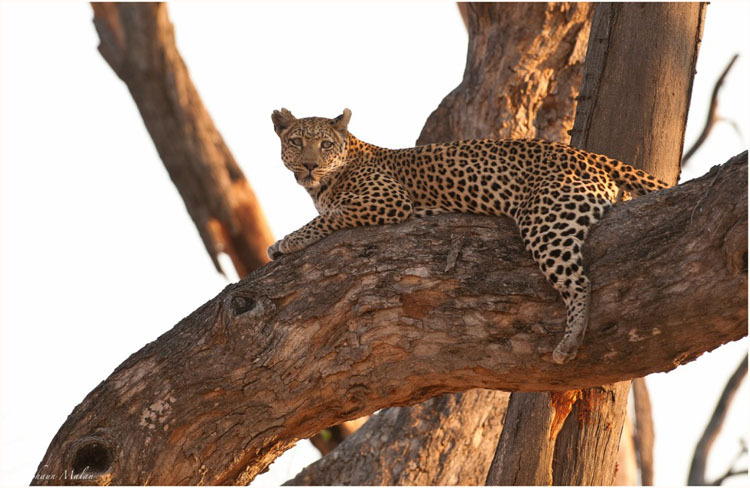 Scenic national parks are spread throughout the country, from the Central Kalahari Reserve to Chobe National Park. 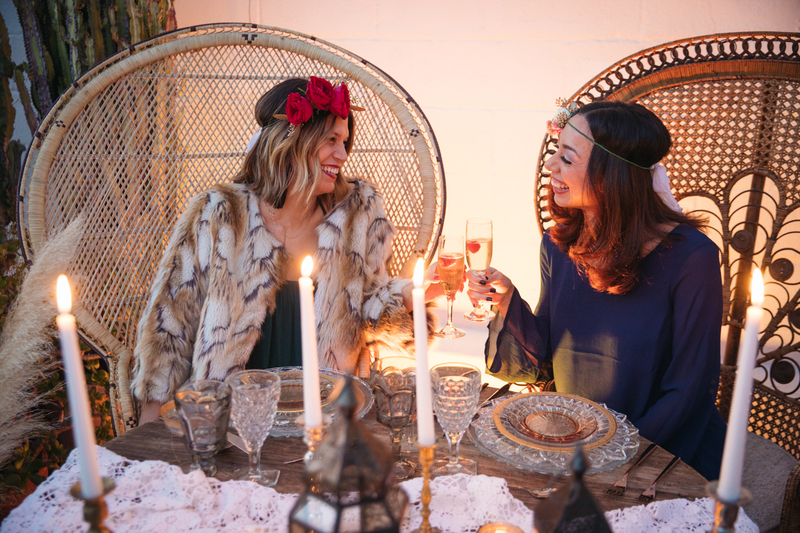 A honeymoon in Botswana is not just about observing the beautiful landscape: You and your beloved can also immerse yourselves in the fabric of the community by participating in local celebrations. Machaba Camp– Named after the tree of life, this majestic lodge offers the perfect combination of luxury and pristine natural surroundings. 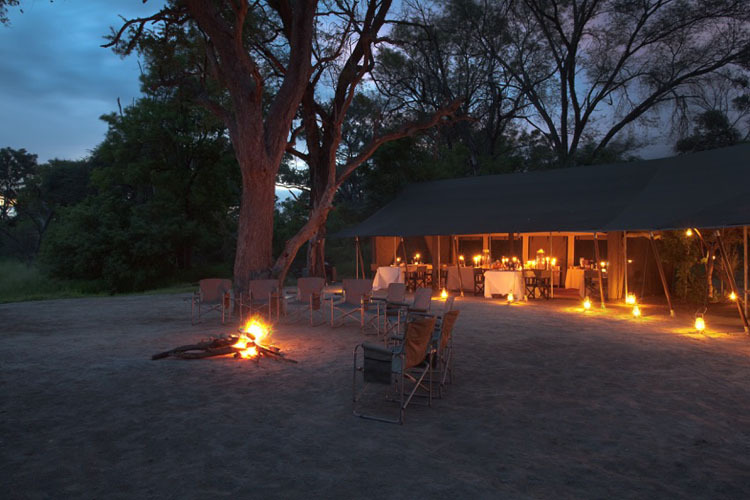 Located in the Khwai area on the eastern side of the Okavango Delta, Machaba Camp features romantic amenities including luxurious tents, outdoor showers, and en-suite living areas. From the comfort of the camp, you’ll observe the rich wildlife that flocks to this region throughout the year. Set along the Khwai River, this intimate honeymoon destination allows you and the love of your life to wake up to a rich array of wildlife right outside your tent door. Venture to the southwestern region of the continent to witness the striking terrain of Namibia. Travel across this rich country’s varying landscape for a glimpse of its stunning game, including cheetahs, black rhinos, and zebras. The Namibian Desert boasts over 31,000 square miles of breathtaking landscape and wildlife. Travel with your beloved on the Shongololo Express through the heart of the country to reach the Atlantic Ocean’s cool embrace. The Sossusvlei Desert Lodge– Before leaving the red sands of the Namibian Dessert, a few nights’ stay at the Sossusvlei Desert Lodge is a must. The lodge’s intimacy fosters a serene and relaxing environment perfect for your honeymoon getaway. From one of their commodious stone and glass villas, you’ll enjoy modern amenities including air conditioning and fireplaces, as well as vistas of the sweeping rocky plain below. The lodge offers varied activities including dune dining, captivating nature drives, and sunrise hot air ballooning, featuring glimpses of the first rays of sunlight striking the warm desert sands. Arrive at the southernmost country on the continent to enjoy the rich diversity of experiences that South Africa offers. As the continent’s most developed country, it’s the perfect place for a honeymoon that balances the serenity of nature with the cultural attractions of an urban environment. Cape Town and the Cape Peninsula are ideal for relaxing along the warm ocean waters and watching surfers catch the next wave. Whether you’re seasoned adventurers or casual safari goers, the beautiful landscape of South Africa will captivate you. 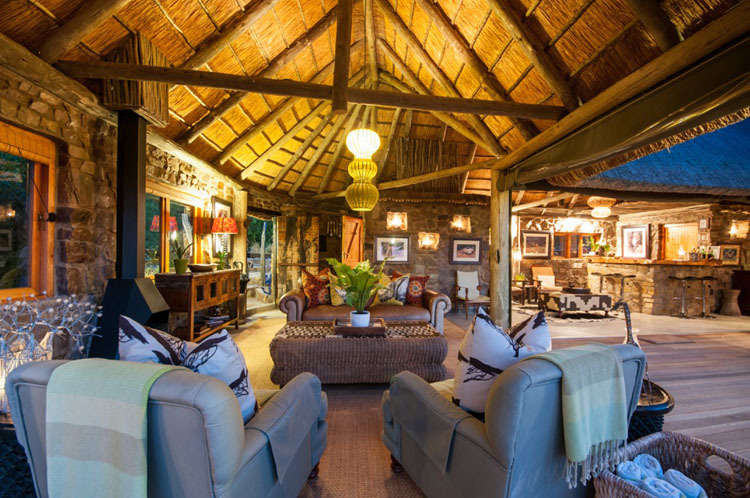 HillsNek Safari Camp– An intimate family-run lodge, HillsNek Safari Camp features stunning vistas of the South African landscape from its main lodge and four luxury safari tents. 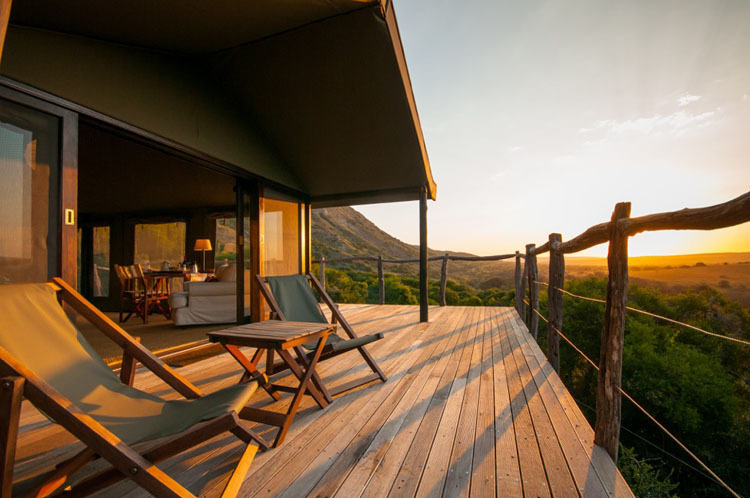 The camp’s ideal location, nestled into the award-winning Amakhala Game Reserve, promises up-close glimpses of the country’s big game, including lion, elephant, buffalo, and giraffe. Enjoy scenic drives, river cruises, and walking tours of the reserve, or retreat to your private chalet for a romantic dinner for two featuring fresh local cuisine. Take in the striking African sunset from your tent’s sweeping private deck, and glimpse the varied wildlife gathered at the edge of the Bushman’s River below. The lodge’s attentive staff delivers personalized service throughout your stay. 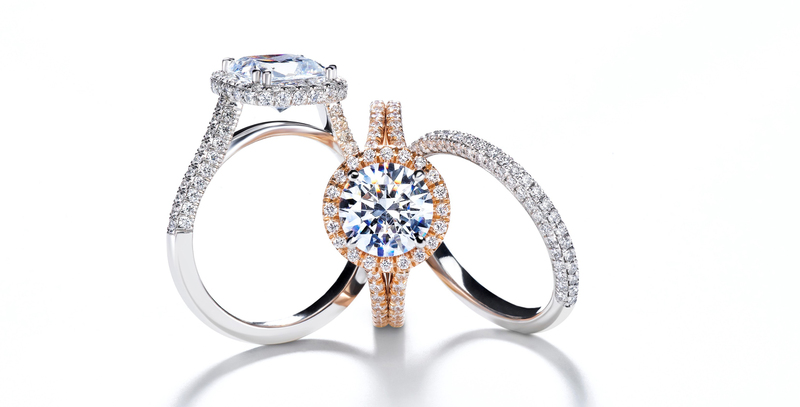 Whether you’re traveling through the lush landscape of Botswana, reveling in the red sands of Namibia, or relaxing along the meandering rivers of South Africa, the continent offers countless opportunities for a truly memorable honeymoon. 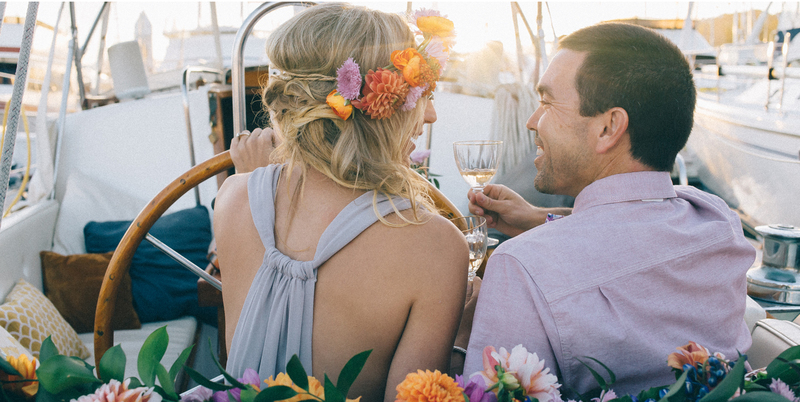 My top destinations balance the simplicity of nature with luxurious amenities, allowing you and your loved one to celebrate your new life together in an unforgettable way. 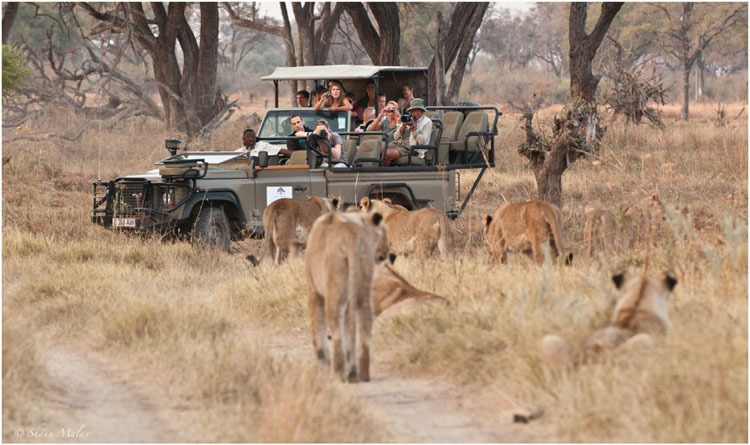 Your African Safari honeymoon promises unprecedented experiences that you can hold onto for a lifetime. Ready to book your romantic safari honeymoon? Make sure you check out Soul of Africa Travel (SOAT) or contact the author, Richelle Lavin directly at Richelle@soulofafricatravel.com.